In the fourth issue of Wired magazine, in the fall of 1993, just as the Internet was entering public consciousness, Michael Crichton, the author of The Andromeda Strain and Jurassic Park, wrote an essay arguing that newspapers were doomed because they were too dumb. As information became cheaper, more plentiful, and easier to get, consumers, he argued, would become ever more immersed in their specific interests and understand that their more generally oriented paper—at least in the matter of a reader’s special interest, but also by inference everything else—had no idea what it was talking about. What are your favorite beach reads of all time? I'll start with SPHERE by Michael Crichton, CRYPTONOMICON by Neal Stephenson (NPR got that one right), and anything by Jane Austen. There have been 15 novels published under Michael Crichton’s name, so Pirates Latitudes will be the 16th novel and the untitled, unfinished novel will be the 17th. 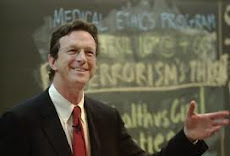 When Michael Crichton, master of the techno-thriller, died in November at age 66, he left behind a completed novel, an unfinished one and a pregnant wife. Crichton's fifth wife, Sherri, gave birth three months ago to John Michael Crichton, who was mentioned but not present at a cocktail party/tribute hosted by Crichton's publisher, HarperCollins, on Thursday night. The publisher announced in April its plans to release Crichton's 18th novel, Pirate Latitudes, set in 1665, on Nov. 24, and an untitled 19th novel next year. At the party, publisher Jonathan Burnham said Crichton left about 90 pages of a techno-thriller and a "lucid" outline of the plot, "a gift for another writer." Burnham said Harper Collins is close to signing someone to finish the book. Crichton's longtime agent, Lynn Nesbit, wouldn't say much about the untitled book other than, "It's going to keep you on the edge of your seats." She fought back tears as she recalled how Crichton, who published a novel while still a student at Harvard Medical School, hired her 40 years ago despite her inexperience. Have You Reserved Your Copy of Pirate Latitudes Yet? I've got my name down. The release date for Pirates Latitudes is Tuesday November 24, 2009 which is the Tuesday before Thanksgiving. I'll probably have it read by Thanksgiving--Crichton's novels seem to read very quickly for me. Let the countdown begin! Only 144 days to go until we get to read a new Michael Crichton book!